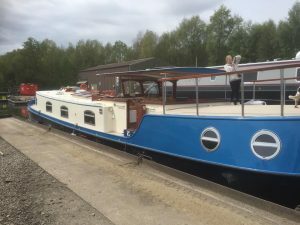 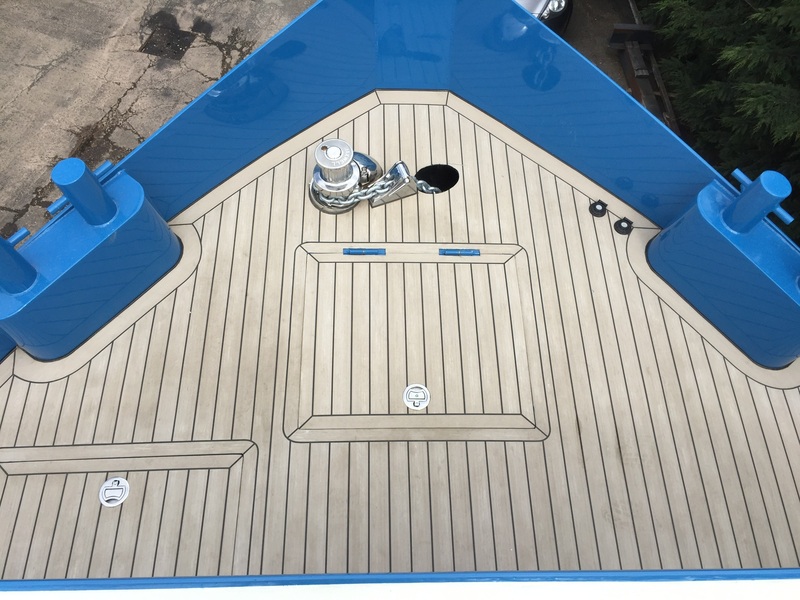 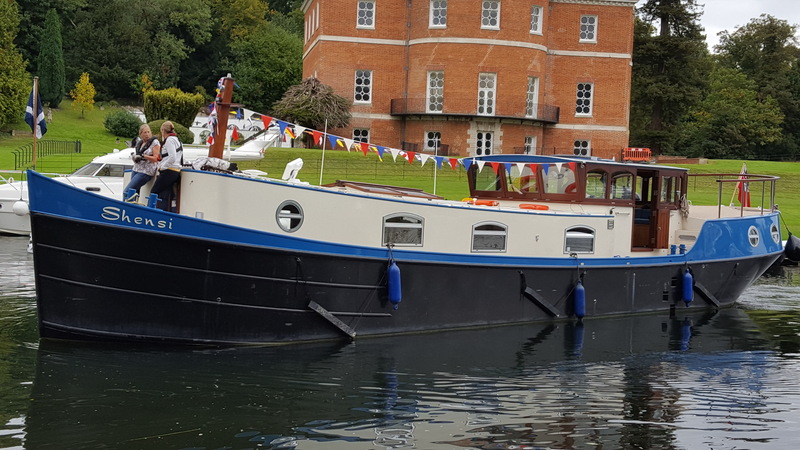 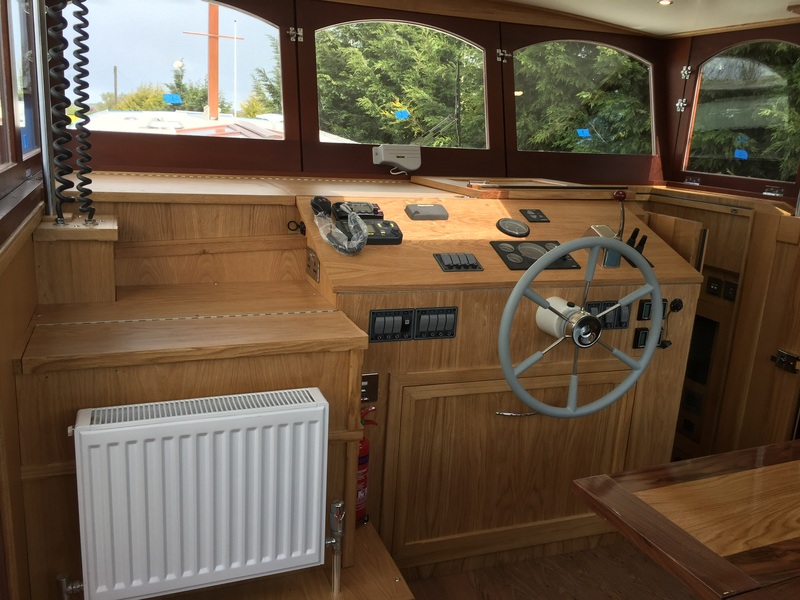 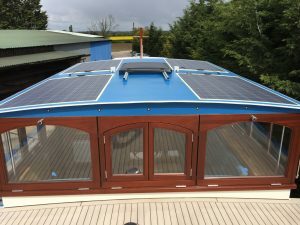 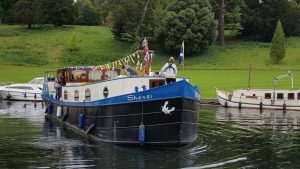 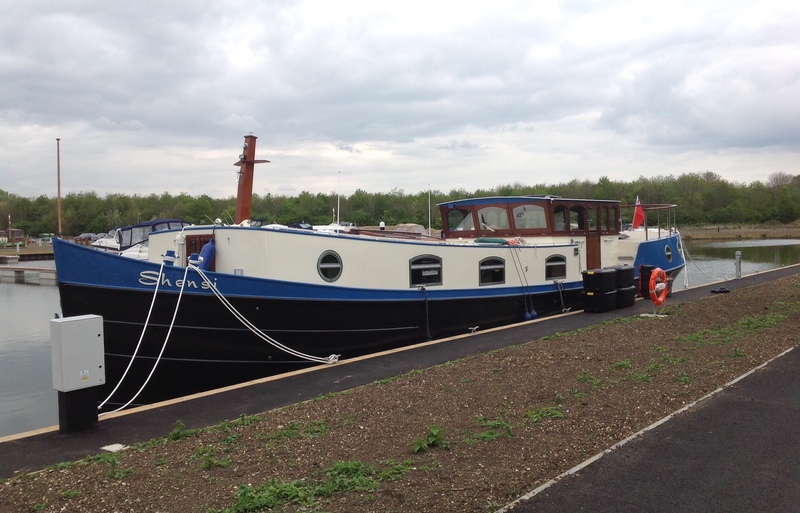 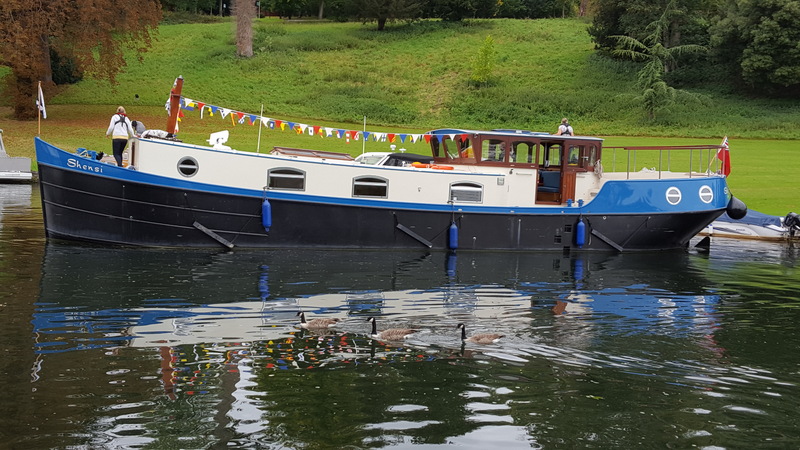 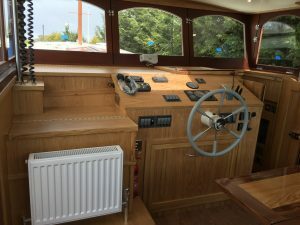 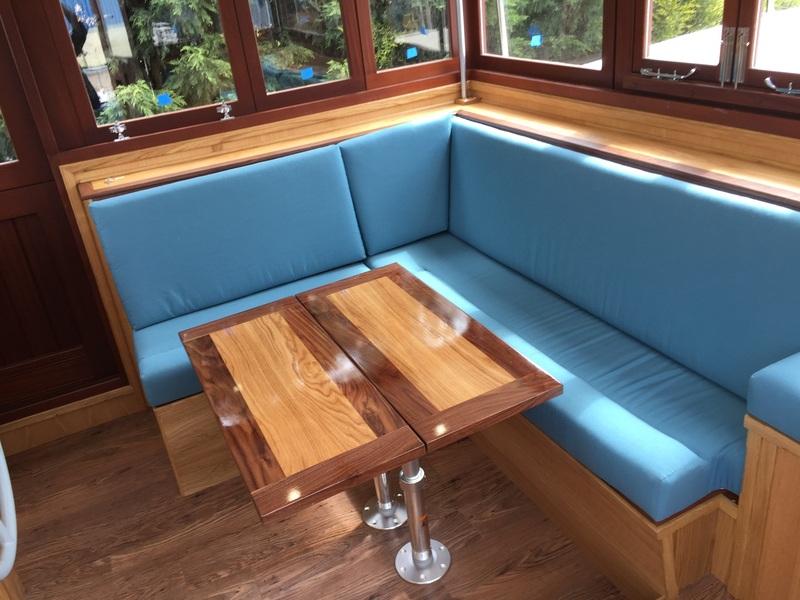 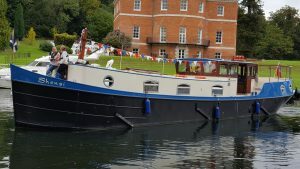 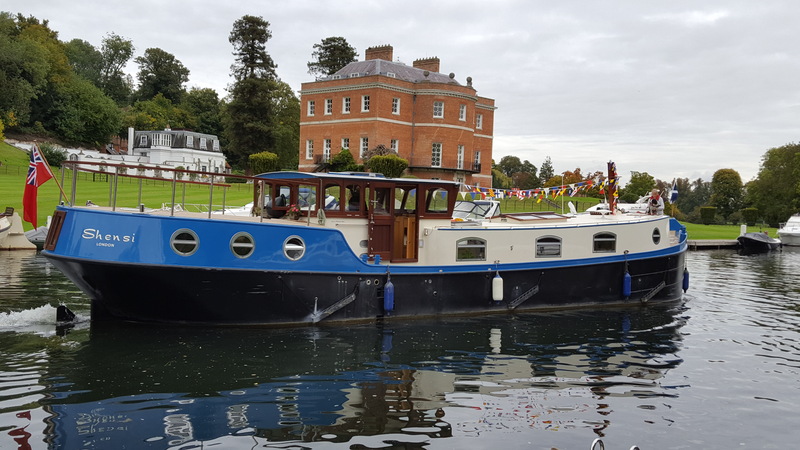 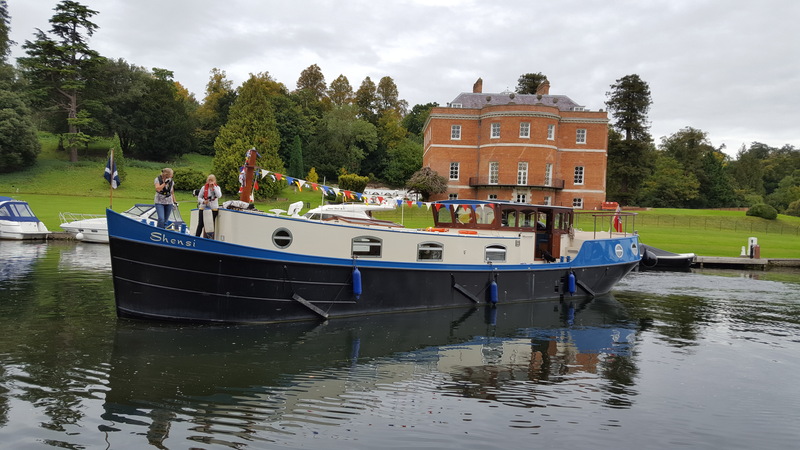 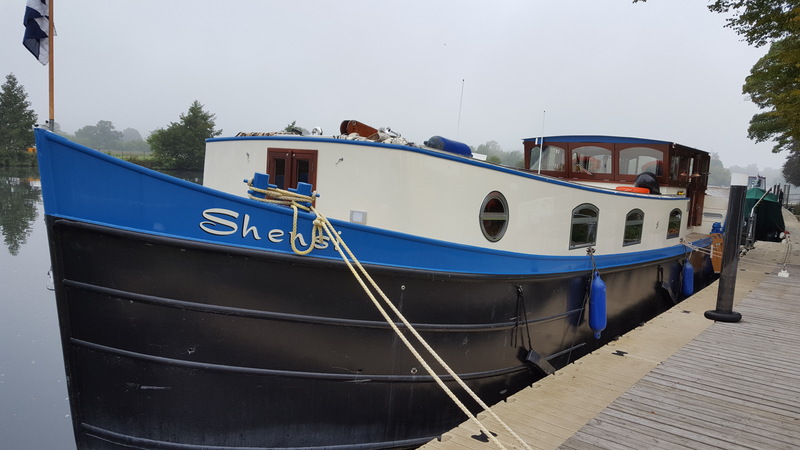 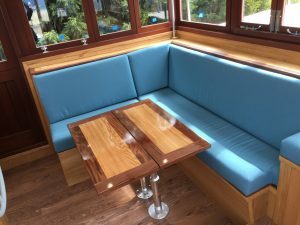 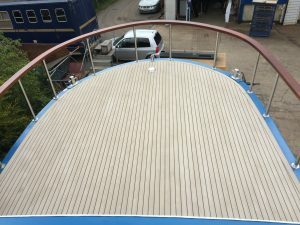 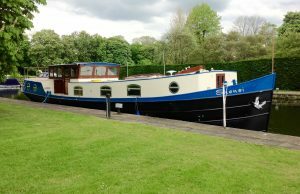 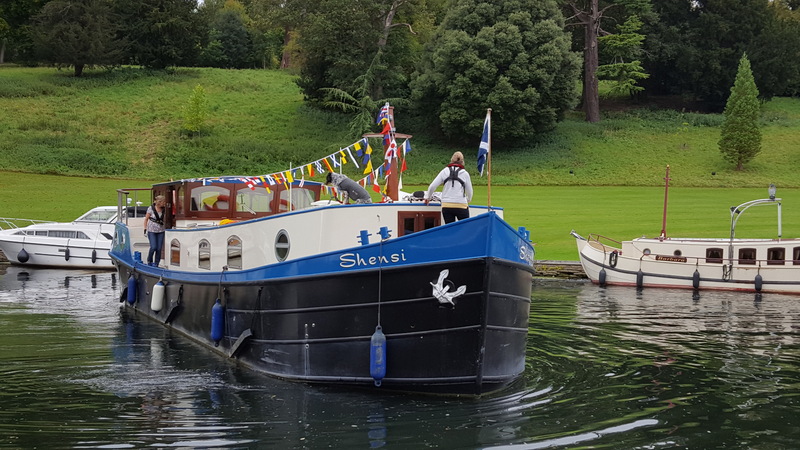 Shensi is a 62ft x 13ft 9″ bespoke Dutch Barge built by us in 2017. Shensi has been designed and built with an aft cabin, a corridor alongside the engine room, under the wheelhouse and exterior steps up to an aft sun deck area. 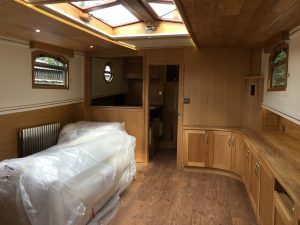 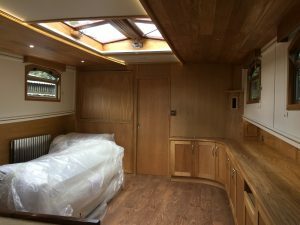 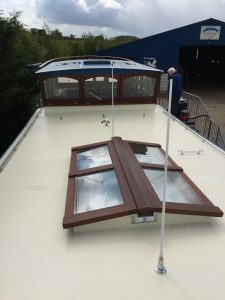 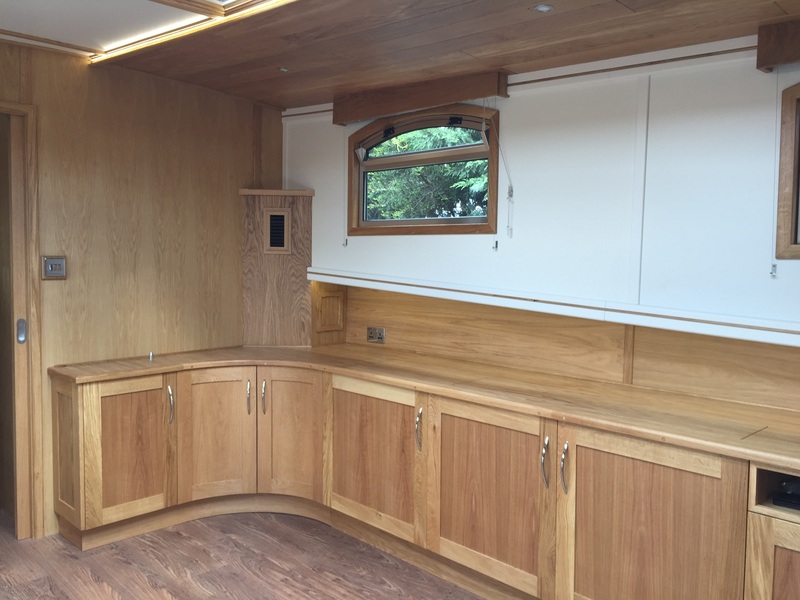 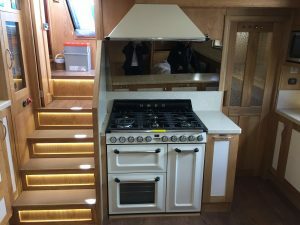 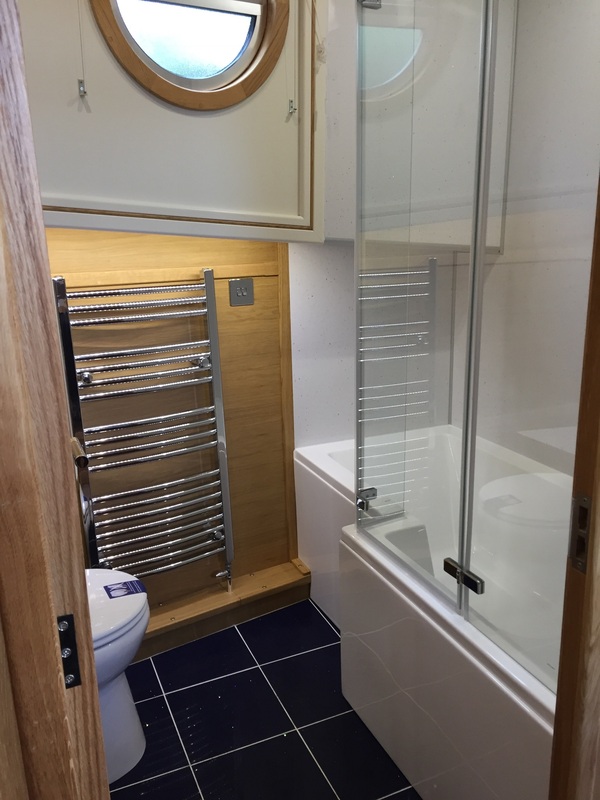 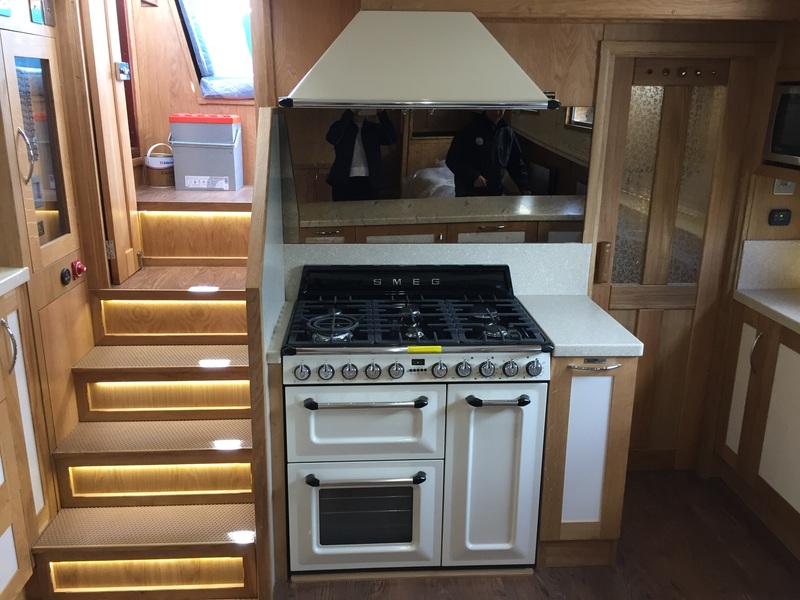 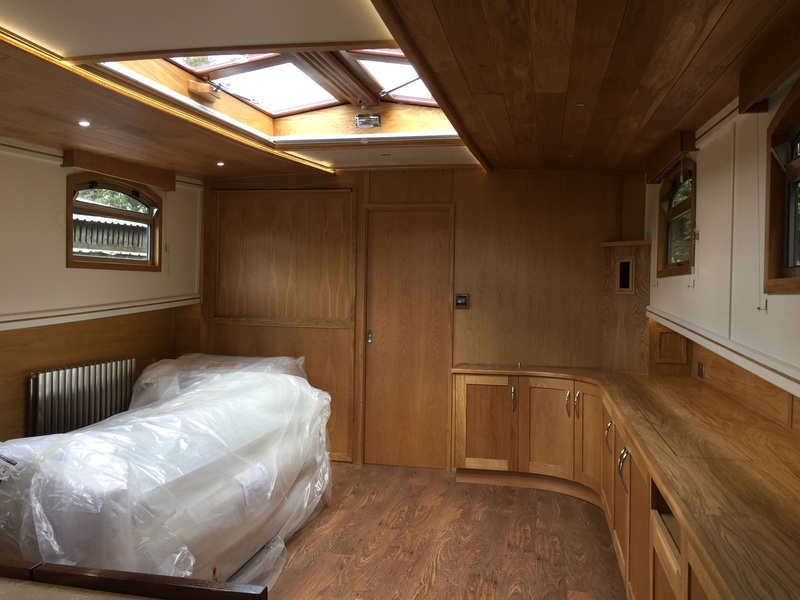 Shensi is fitted out with oak T & G ceiling either side of painted boards, painted cabin sides and oak veneered plywood under gunnel. 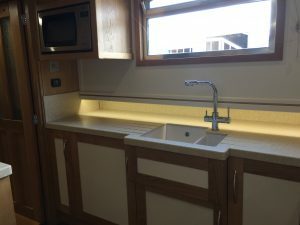 The majority of the cabinetry is in oak, with Samsung solid surface work surfaces in the galley area. 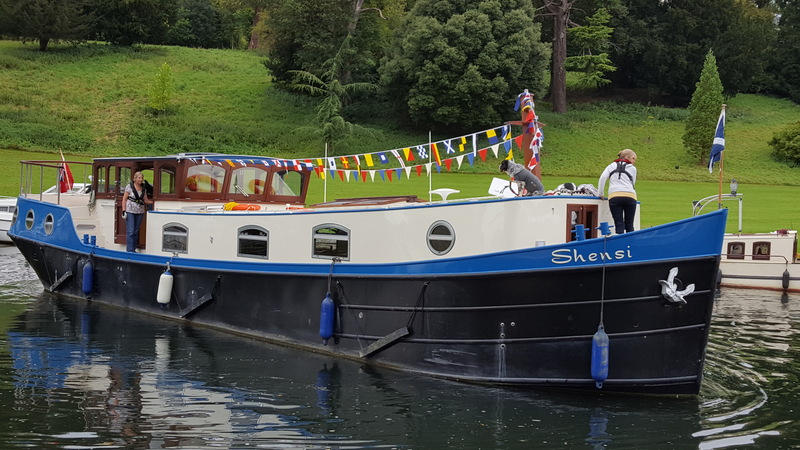 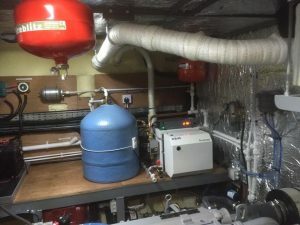 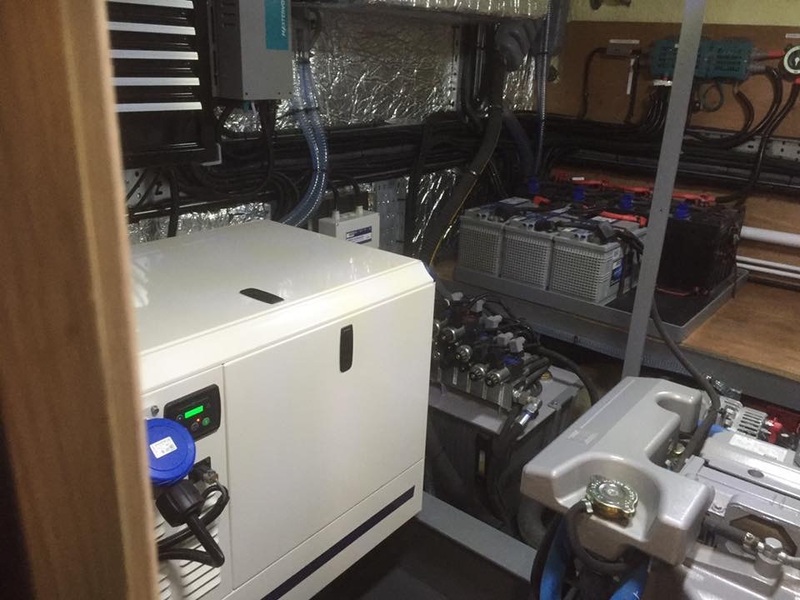 Shensi is powered by a Vetus Deutz 170hp keel cooled engine, a Vetus 6.5 kva 1500 rpm generator is fitted in the engine room, Vetus hydraulic 160 kgf bow thruster and Vetus hydraulic 95 kgf stern thruster are also fitted, together with a Maxwell hydraulic windlass at the bow. 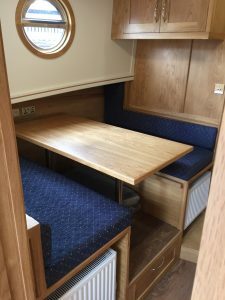 The layout of Shensi from bow to stern is: Bathroom and dinette at the bow, cleverly designed with a pull up bulkhead and sliding door to turn into a private cabin and en-suite when needed, saloon, galley, engine room alongside corridor under wheelhouse, aft cabin with en-suite. 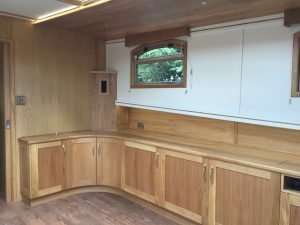 The corridor is used to house the freezer and the washer dryer together with additional storage.